Ever wanted to design your own wallpaper? 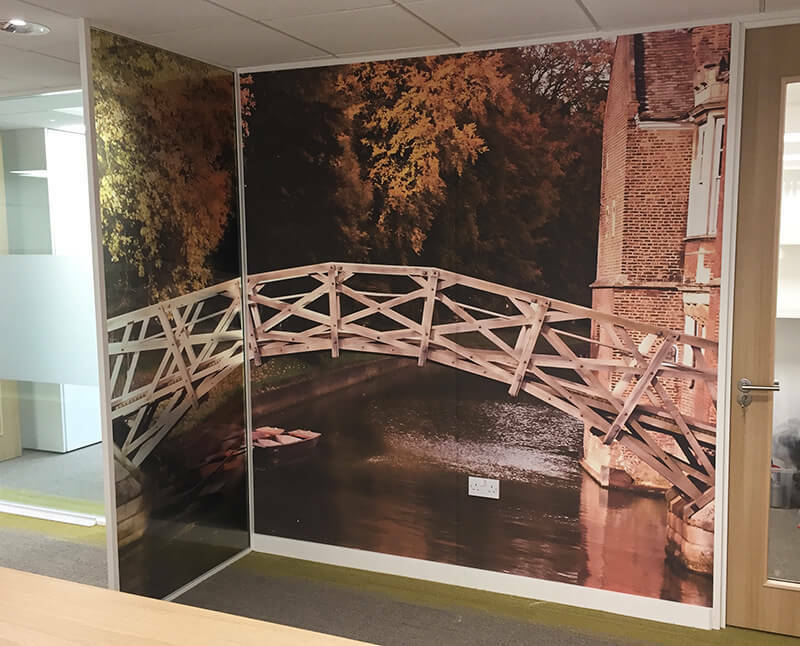 With Create Signs Ltd, you can do just that; we are specialists in the design and digitally printing of bespoke wall coverings for corporate and private clients in Cambridge and across the UK. From feature walls to corporate colours; themed walls for children’s bedrooms to inspirational quotes; we work alongside interior designers, graphic design specialists and property developers to create unique, high impact wall coverings of the highest quality. Whether your taste is classic or contemporary; understated or daring; we can take your chosen design, photograph or logo, or you can choose from our range of templates and adapt them to suit your personal sense of style. Alternatively, our graphic designers can help you create your wallpaper from scratch. There are a variety of mediums available, including smooth, glossy and textured, and the option of pasted or self-adhesive papers. Whatever option you choose, with our bespoke wall covering service, you have full permission to let your imagination run wild!